Area Sales Manager – £35,000 basic negotiable for the right person, OTE, car and all usual home office equipment – selling to end users in the Midlands region. The company is a distributor and has a great company culture and are looking to strengthen their team. The company has a very strong brand presence and reputation for delivering premium safety products and consumables to many end users across the UK. 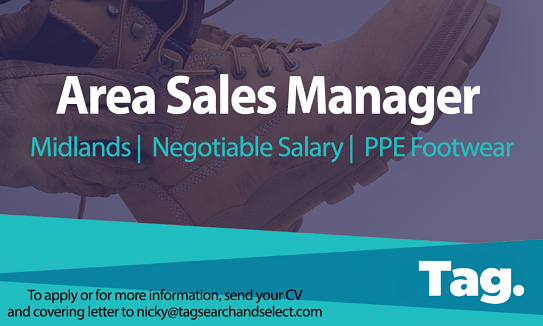 If you have a background in PPE or janitorial supplies, this would be an ideal role for you to join a medium sized business with a family feel to it.